This post is part of The Edge monthly series of book reviews on books relevant to new PR professionals. “He has worked with some of the country’s most fabled business leaders, such as Apple’s Steve Jobs, Disney’s Michael Eisner, and Amazon’s Jeff Bezos. 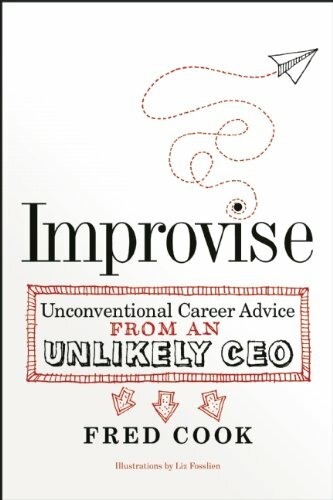 He has helped introduce the world to Teenage Mutant Ninja Turtles, Pokémon, and the seedless watermelon,” states a blurb about Fred Cook on the back of his latest book Improvise: Unconventional Career Advice from an Unlikely CEO. If a description like that doesn’t inspire you to read a book then I don’t know what will. 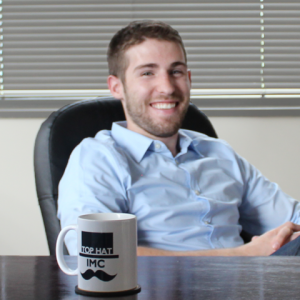 This isn’t your average career development publication. It’s an entertaining education on leadership, creativity, business and getting ahead of your competition rooted in the very thing that propelled Cook to CEO of Golin—his unique experiences. His outrageous stories catalog his adventures as a cabin boy on a Norwegian ship, a salesmen of leather goods in Italy, a doorman at a four-star hotel, traveling across the world, starting his own PR firm and many other experiences. These narratives, however, aren’t random. They all have a specific purpose: to keep you eagerly reading along and easily transferring otherwise complex lessons. 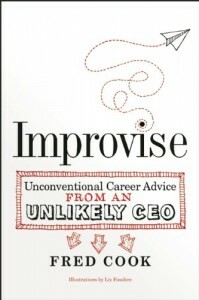 Much like the book’s title suggests, Cook puts a great deal of emphasis on the power of improvising. Employing his above-mentioned stories and wit, he details logical steps to embracing your weird thinking and harnessing it to advance your career. A consistent theme is the importance of gaining a variety of experiences to synthesize to your advantage. The importance is showcased as Cook describes the very moments that equipped him to effectively maintain client relations and think outside the box to gain new business like Starbucks (before they were huge). With so many qualified young professionals entering the marketplace, you’re going to be required to stand out. This book will help you do just that and is a must-read for the new pro as well as the seasoned veteran. So start expanding your perspective and varying your experiences—pick up Cook’s Improvise, and I promise that your career will never be the same. Ben Butler is the founder and president of Top Hat IMC—an integrated marketing communications firm in Wexford and Pittsburgh, PA. You can connect with him on LinkedIn and on Twitter (@BenButlerPR).